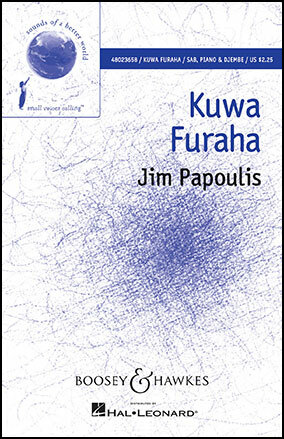 Kuwa Furaha is a song about joy. More specifically, it is about the simple and beautiful way that children have of showing and expressing their joy. Jim Papoulis is well known for his world music style of writing. This rhythmic, energetic song, using a Swahili text and djembe, will be quickly learned - your singers will ask for it at every rehearsal! Highly recommended!